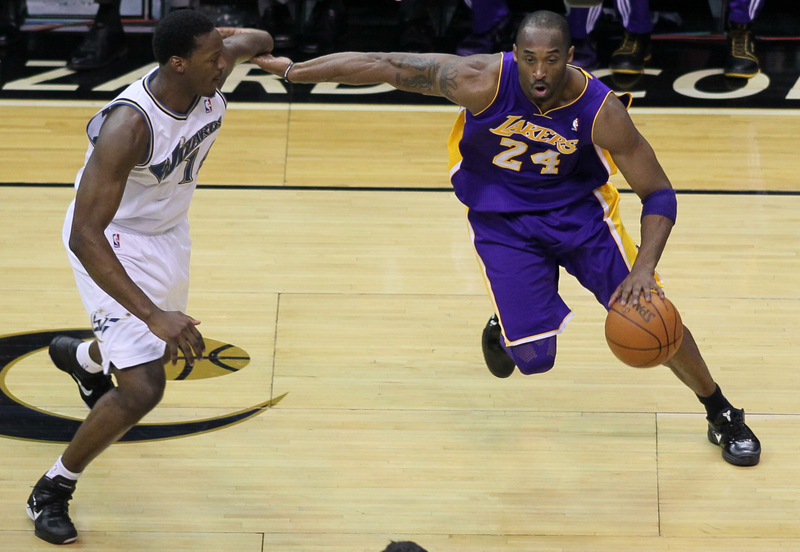 Kobe vs the Wizards in 2010. Photo by Keith Allison, via Flickr creative commons. The Los Angeles sports scene is packed with can’t miss action this week. Here’s what’s coming up, and how you can take Metro to all the games. Tuesday, April 12: the Dodgers open at home against the Arizona Diamondbacks. Game starts 1:10 p.m. You can take the Dodger Stadium Express to the home opener — and every single game this week and season! Service from Union Station West (the Alameda Street side) begins 90 minutes before game time through the third inning. Service from the South Bay starts two hours before game time, with the last bus leaving Harbor Gateway Transit Center at game time. Tuesday, April 12: the Clippers take on the Memphis Grizzlies for their final home game of the regular season. Game starts 7:30 p.m. Take the Blue Line or Expo Line to Pico Station and walk one block to Staples, or take the Red/Purple Line to 7th St/Metro Center and walk a few blocks down south on Figueroa. Wednesday, April 13: the Lakers play the Utah Jazz for their final game of the season — and the final game of Kobe Bryant’s career. Game starts 7:30 p.m. but you should plan to arrive extra early as large crowds are expected to bid farewell to Kobe. Regardless how you feel about the #24, there’s no denying he’s a Los Angeles sports icon. And to honor his 20-year career with the Lakers, Metro will rename Pico Station to Kobe Station for one day only. Come out Wednesday to see the special signage! And make sure to take the Blue or Expo Line to Kobe Station on Wednesday if you’re heading to Staples to say goodbye. Thursday, April 14 & Saturday, April 16: the Kings start their playoff run against the loathsome San Jose Sharks, who also happen to be divisional rivals. Games start 7:30 p.m. both nights. Take the Blue Line or Expo Line to Pico Station and walk one block to Staples, or take the Red/Purple Line to 7th St/Metro Center and walk a few blocks down south on Figueroa. Kobe Station should be permanent! I’ve gone to 3 Clippers games on the Gold Line (Azusa Downtown) to Union Station and then Red Line/Blue line. No more freeway driving for me.